Dalai Lama — Floral Notes Weddings! 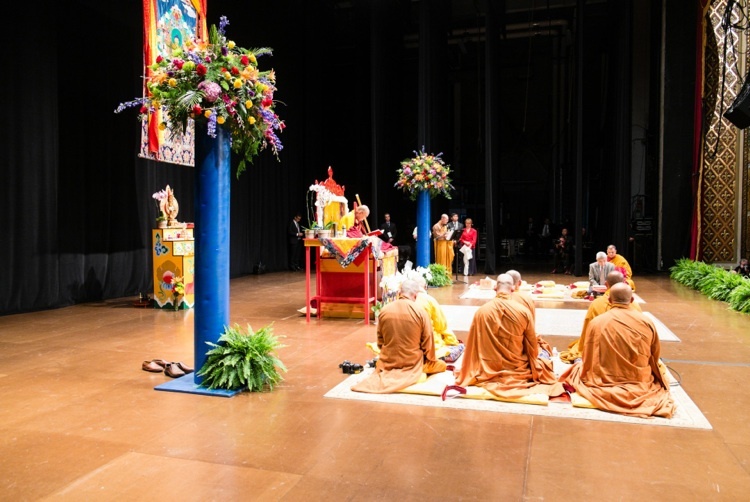 On October 30, 2014, His Holiness, the Dalai Lama was at the Wang Center Boston. I was honored to design and create the flowers for this occasion. The flowers needed to look good from the third balcony as well as to those walking on the stage. I made the tall columns out of sonotubes which I reinforced with 2" x 4" x 8' supports and 30 lbs of sand. The flowers were supported by an armature I created out of curly willow, grapevine, styrofoam and oasis foam.